Note: This Drone Registration System is supported on Google Chrome ONLY. 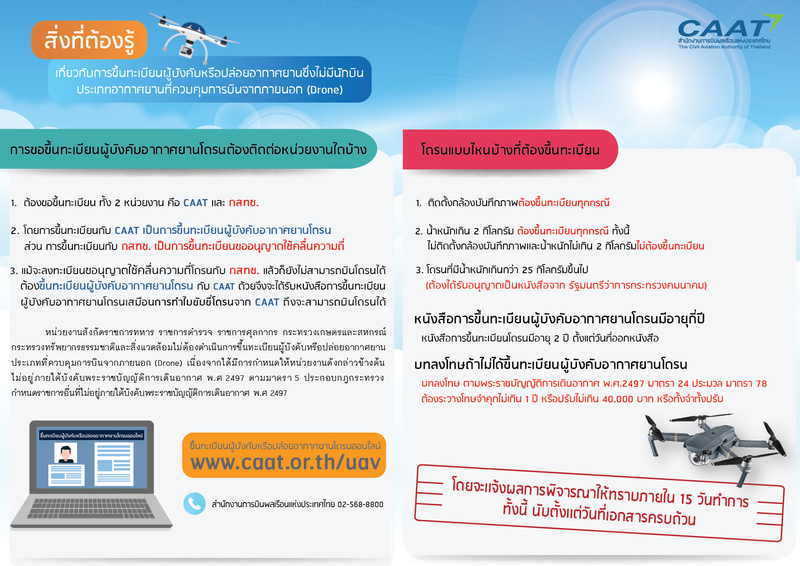 Copyright © 2017 THE CIVIL AVIATION AUTHORITY OF THAILAND. All rights reserved.